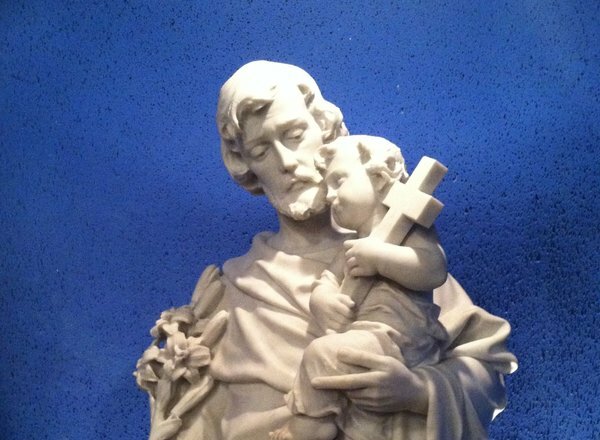 Here’s Day 5 of the St. Joseph, Husband of Mary Novena! As of today my father lost his job. He is under a lot of stress and I can tell he is immensely bothered by it. My mother is also stressed and she is fustrated. I am asking for all your kind prayers to help my family and I get through this. I pray for my mom, dad, and everyone else who also needs a helping hand. Amen. St. Joseph, powerful intercessor before God, I pray for a young friend, Joseph C. , who has been seeking employment for 2 years and finally has been called for an interview. Pray for him that he may remain confident and strong during the interview process and that he may become employed. Thy will be done Lord! I pray for all the intentions of those praying this novena. for the soul of my sister in Christ, Anne. Continue to protect her family in Jesus Holy name. Amen ???? I beg to be reunited in love with my ex fiancé… She was abused by a parent–The consequences of which which bore down destructively upon our relationship. Even to become sincere friends with her again, I ask for prayers my friends. The hardest part is that I have seen signs which even my parish priest could not deny. I cannot bring myself to believe that God would have misled me. The signs have been uncanny– clear. I have loved her more than I’ve ever loved any woman, devoting my life to her. The pain being away from her, is impossible to describe. Glorious St. Joseph, please pray for my brother to be able to provide for his family as you did for Mary and Jesus. Amen. I pray that my son score high marks when he do his USMLE step 1 exams. THANK YOU JESUS. Thank you blessed st joseph. Prayers for the Brothers family who are harrying their mother tomorrow. Please pray that I get a job offer soon. Please pray that I regain confidence in my abilities so that I can portray this confidence in my resume and interviews. Please pray for others who are searching for employment that they may be successful in their search. St Joseph please pray for the safety and security of my family, for the healing our broken souls especially the relationship of mommy and nanay. Please pray that may we all find patience and consideration in us so that we can treat each one of us the way God wants to. Please also pray that i may successfully graduate this April 2017. Thanksgiving and praise that our house got an offer within 8 days of being listed, which came on the first day of this novena! I’m asking for prayers that our home inspection todsy, Wednesday, March 15, and the appraisal on Friday, March 17, all come in at what we need them to be, and for nothing to impede the rapid conclusion of our closing on April 19. For the sale of my property. My father-in-law & uncle. And all my students to perform & God children (and friends and family) to have a holy Lent. And for people looking for jobs and needing financial assistance. St joseph intercede for me , I need money to finance my son tuition fees. I pray that my son would become a doctor.I wish my daughter success in her exams.